By hugoz on 06 September 2012 . The Rochester Music Guild has been the fortunate recipient of endowments for the scholarships from members of the community that contribute significantly to funding the scholarship awards for selected competition divisions. We are honored by their support of the Rochester Music Guild in making these scholarships available and pleased to recognize their contributions. To fully fund all the scholarships, we are looking for a named sponsor (contribution of $10,000 or more) to pair up on the Senior Winds and named sponsors (contribution of $5,000 or more) for Century High School and Lourdes High School Senior Awards. 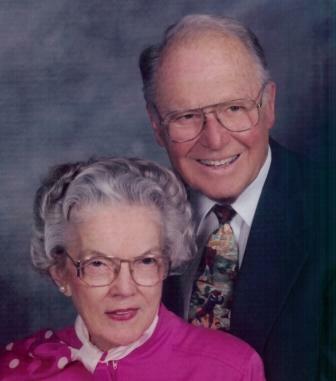 For many years the family of Dr. William and Nancy Douglas provided musical talent, volunteer time and financial support to the Rochester community. Due to this family’s dedication to music performance and appreciation, the Senior Piano Competition that was originally established in the name of Carter, was renamed the “Douglas Family Memorial Scholarship Fund,” thus allowing recognition of all family members. It is the Music Guild’s hope that this scholarship will continue to foster the Douglas family’s strong support of our community’s young musicians. Carter (pictured here) and Cathy, twin daughters, were born to William and Nancy in 1965 in Rochester. Carter was creative, caring, athletic and very musical. Her study of piano for nine years brought her joy and relaxation, as well as increasing skill. 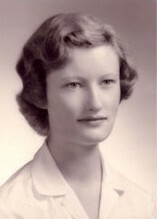 Carter competed locally, attended the Rochester Community College, and continued her studies at the MacPhail Center for the Arts in the Twin Cities. Following her untimely death in 1986, family and friends established a scholarship fund that would enable other young high-school-age musicians to share in new musical experiences to broaden and deepen their musical understanding. Cathy was a talented violinist and a lifetime student of classical music. She graduated from Mankato State University with a degree in International Studies and French, and furthered her study of violin at the University of Indiana and in Meadowmount, N.Y. Cathy advanced her studies in Italy and France. Like her sister, Cathy’s life was cut short. She passed away in 2007. 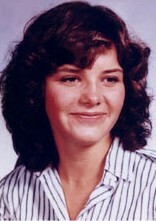 Both Carter and Cathy were award winners in the RMG Scholarship Competition – Carter in 1980, and Cathy in 1981 and 1983. Nan Douglas, the matriarch of the family, died in 2011 following a lengthy illness. However, she continued her volunteer efforts for the RMG until the end of her life. Although working as a travel agent for many years, she found time to serve on the RMG Board of Directors for a total of eleven years, assuming many leadership roles, including two years as president. William Douglas was a noted physician at the Mayo Clinic, serving on many national boards in leadership positions. He supported his family’s participation in various musical activies, and was a long-term member of RMG. He passed away in 2006. Only a daughter, Margaret, and a son, Strawn, survive. The Rochester Music Guild owes a debt of gratitude to this family, and honors all of them with this named award. The Georgia Daniel Memorial Scholarship was established in 2000 and is awarded to the 1st place winner in the strings category of the Rochester Music Guild annual competition. Georgia’s cousin, Virginia Amundsen, was instrumental in the development of this fund, honoring Georgia for over 22 years of dedication, teaching strings and directing orchestras in the Rochester Public Schools. 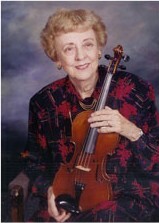 During retirement Georgia continued to teach violin privately until her death in 1999. 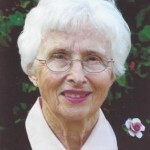 Georgia was always willing to share her knowledge with other teachers in the school system, and volunteered to document guidelines and standards for the teaching of stringed instruments in the Rochester Public Schools. Many of Georgia’s students competed successfully for concertmaster/concertmistress positions in the nation’s top university music programs, and went on to become professional musicians. Gloria Swanson was the one of the four founders of the Rochester Music Guild and her legacy will live on with this endowed fund for Senior Wind Scholarships. Gloria played flute for many years in the Rochester Symphony Orchestra early in its history and had a large flute teaching studio. She had the opportunity to attend Interlochen Music Camp as a young adult. Her husband, Robert, played nine different instruments and they both had many musical experiences that enriched their lives. This memorial scholarship fund was endowed by Robert, and their three sons: Richard, Charles, and Paul. Gloria passed away in 2012 and Robert passed away in 2014. The Sally Duffy Memorial Vocal Scholarship is awarded to the 1st place winner in the vocal category of the Rochester Music Guild Scholarship competition. Joe Duffy made a contribution in memory of his wife, Sally, shortly after her death from cancer in July 1994. He placed no stipulations on the donation – he simply wanted to honor Sally in memory of her devotion to music and the human voice. He was delighted when the Rochester Music Guild elected to place the money in a designated fund to be used for an annual vocal scholarship in her name. Sally was a two-time President of the Guild, 1978-1979 and 1987-1988, and an ardent supporter of the Guild’s mission. She had a passion for the arts in general and for music in particular, especially choral music. She sang in a choir at the National Cathedral in Washington prior to her marriage to Joe in Alexandria, Virginia, in 1975. Shortly thereafter, they moved to Rochester where she sang in the choir at Calvary Episcopal Church and in the Rochester Symphony Chorale. In Rochester, she was very involved in helping numerous nonprofit organizations, including the Guild. She could be found working hard for the major fundraising event, the Party at Apache, and helping prepare for various symphony concerts (even Joe was drawn into decorating tables for Yulefest and serving ice cream in the park for summer concerts). Music always played an important part in John’s life. 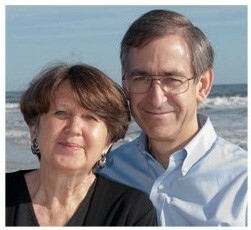 This voice scholarship is endowed by his wife, Shirley, and his children. John sang in the Rochester Symphony Chorale for over 30 years. He was president of the Rochester Civic Music Board when the orchestra was part of the Music Department of the City of Rochester. He was proud of the musical talent of his children and grandchildren. This scholarship will help support vocal students in our area. John passed away in November 2013. 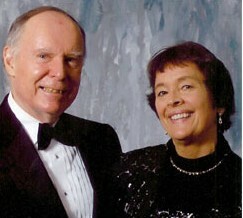 The Andersens were long-time residents of Rochester and two of its ardent music supporters. 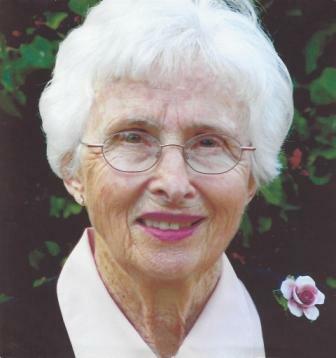 As well as teaching piano lessons, Peggy was involved in numerous civic and music organizations including the Rochester Music Guild. Playing the piano and listening to music were always two of Peggy’s favorite activities. 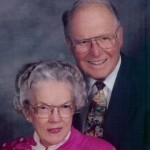 Howard passed away in 2008 and Peggy passed away in 2013. This endowment contribution makes it possible to fund the Junior Piano Division Scholarships. The five Spackman children were raised in Rochester, where each received an excellent music education through participation in private lessons, school choirs and ensembles, Honors Choirs, and SEMYO. Two of their children (Erin on violin and Neal on cello) were winners of the Music Guild Scholarship Competition. Tom and Sue are grateful to provide encouragement to young musicians to strive for excellence in performance and gain an understanding and love of beautiful music. The Karsell family is pleased to fund a Junior Winds Scholarship. Music is important in their lives as patrons as well as participants in musical education and activities. This scholarship provides support for the Rochester Music Guild in their on-going efforts to recognize and encourage young musicians in their musical endeavors. For a number of years, the Rochester Music Guild awarded a $500 Summer Camp Scholarship to a winner selected by the judges from among applicants participating in the annual Scholarship Competition. In 2005, the Judy and Jim Sloan Foundation graciously offered to take over sponsorship of this award. 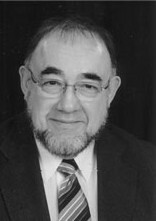 In 2007, the award was renamed the Carl Schroedel Memorial Scholarship. 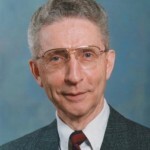 Following a re-organization of the Scholarship Competition for 2008, it was decided to rename the Wind Instrument division of the competition as the Carl Schroedel Memorial Division in honor of Carl’s support of the Rochester Symphony Orchestra and his service on the Rochester Music Guild Board. Carl and his wife, Carol, came to Rochester from St. Louis in 1969 when he became pastor of Rochester’s Peace United Church of Christ. 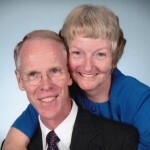 He served as its pastor for over thirty years. Following his retirement, he continued his career by serving the UCC church in Dodge Center part-time. The Rev. 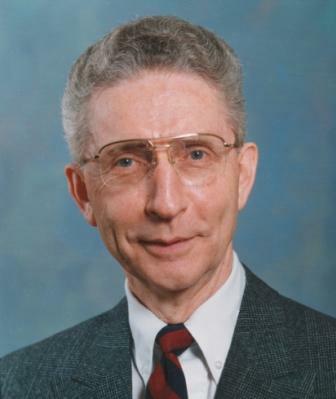 Carl Schroedel passed away unexpectedly at home in November 2006, leaving behind a legacy of service to the community. He touched the lives of many in the Rochester area, through the church, community services, the theater and music. 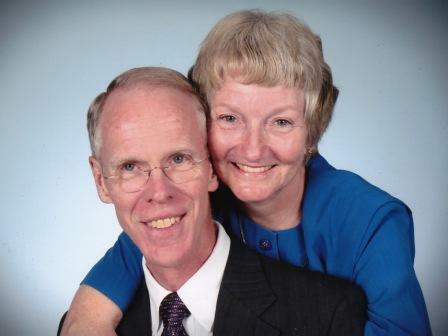 Judy and Jim Sloan are long-time members of the community and are known for their generous support of many worthwhile charitable causes through their Foundation. Among these, they have been enthusiastic about supporting youth programs that encourage participation in music. In 2005, a grant from the Sloan Foundation also helped make possible the Rochester Music Guild educational play/concert about Clara Schumann’s life, Clara’s Visitor.